When traveling to Cebu City, a lot of tourist attractions are worth it to unwind at. 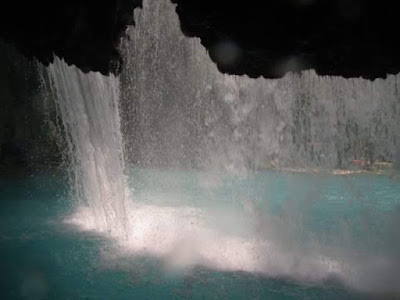 To name one, the Kawasan Falls which is situated in the town of Badian. What makes Kawasan Falls an interesting place is its heavenly cold blue waters which a visitor must dive in and swim around. 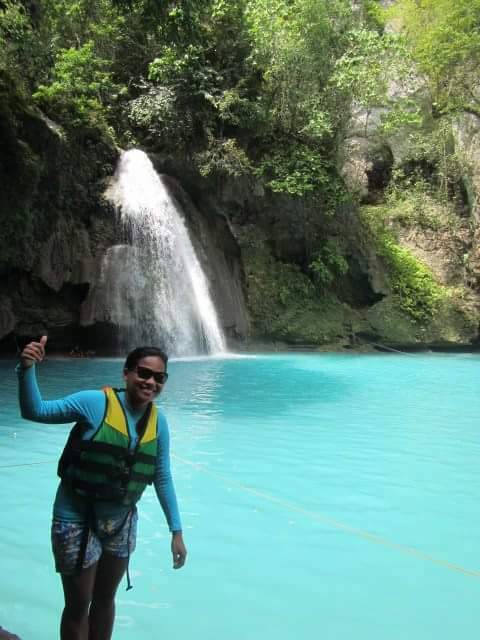 Well, if you are not a swimmer or perhaps does not know how to swim just like me, you must wear a life vest for your own safety. Remember, safety must be a priority in every travel you make. 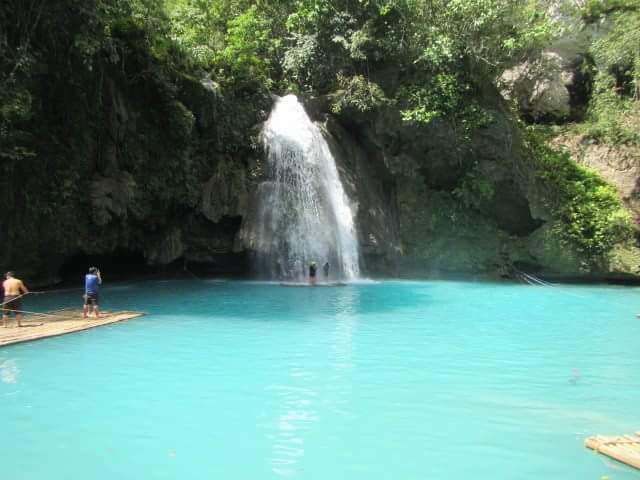 Kawasan Falls have few amenities like the bamboo raft that can be rented for an affordable price which will be used in getting closer with the waterfall and the natural rock formation underneath it. Other services include life jacket rentals, cottages, gift shop and their cafeteria. 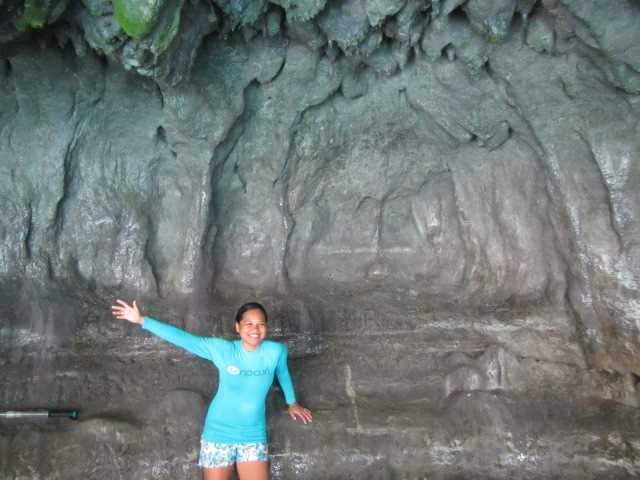 Amazed by this rock formation. 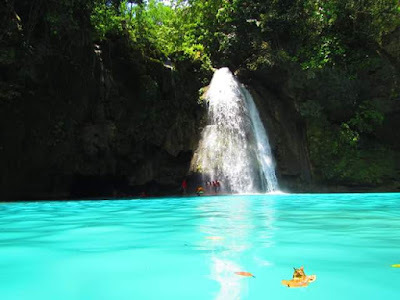 How to get in Kawasan Falls via public transportation? Ride a bus in Cebu South Bus Terminal. The route must be going to Badian and the travel period will take about 2 to 3 hours. Fare is about 120php. Tell the bus conductor to drop you off at Matutinao Church Badian. 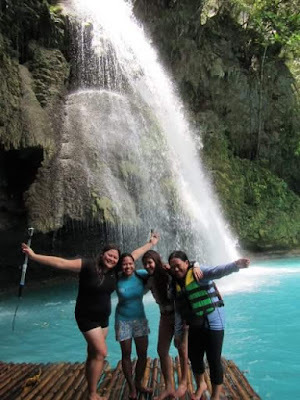 From Matutinao Church Badian, follow the trail going to Kawasan Falls. It's more than a kilometer away. Also, do not give in to guide provocations to accompany you because you will not get lost if you will just follow the trail. Arrived safely to Kawasan Falls. Note: You may also rent a van if you want to have comfortable ride going to Kawasan falls just like what we did with my friends. Enjoy your Kawasan Falls trip soon nomads!